What happens if you don't add this new node? I am still awaiting the release documentation but if you change the value of the username nothing is updated so potentially only ready only? 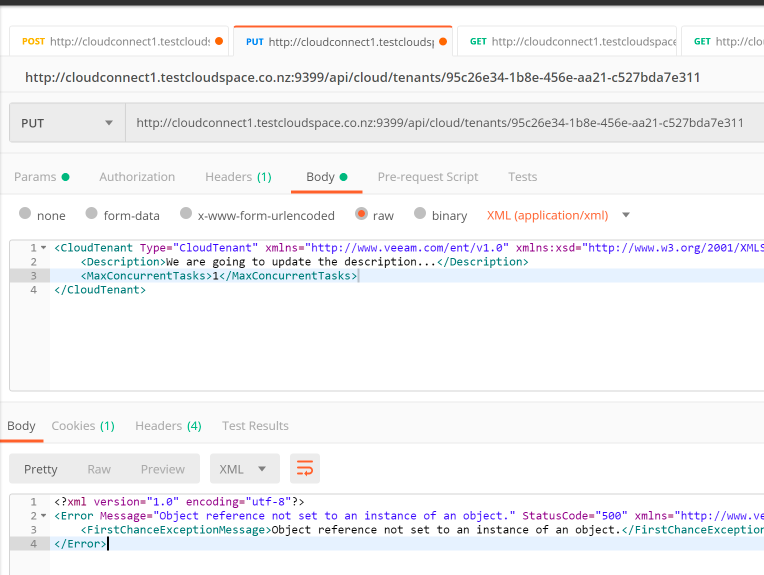 Simple update example to change the description of the tenant but add/remove the other nodes as required with your edits. Following the reference link/refetching your cloud tentant using the following endpoint will show you your updates. In our case just the description. Pro-tip, why not try the new JSON format!